Studying at university is an exciting, enriching and rewarding experience. As new stage in life, it offers many opportunities for personal development and growth. As a parent or guardian, you may wish to play an important part in your child's decision. You have a key supporting role during they studies, ranging from financial assistance to emotional support. The information below is intended to help you support your child in making one of the biggest decisions of their life. 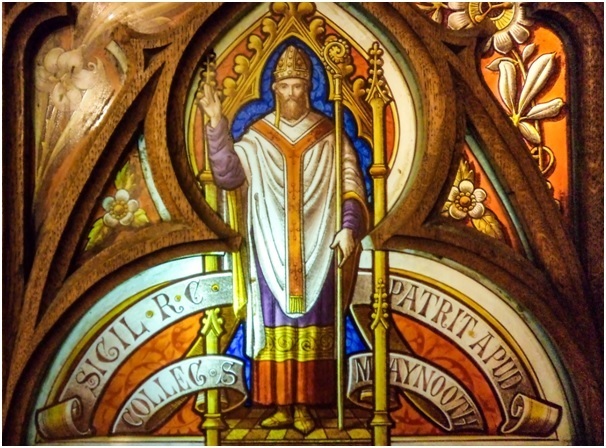 St Patrick’s College, Maynooth offers a range of exciting and stimulating subjects. Alongside its expertise in Theology, Philosophy and related areas, it also offers a range of Arts subjects in conjunction with Maynooth University. Deciding which one is right for your child is an important undertaking. The subject they choose to study may be familiar to them or entirely new. Either way, it is vital that your child picks a subject they have a genuine interest in to carry them through their three years of study. Of course, the subject may be a springboard to an intended career path. But it may also be an opportunity for further personal growth before life begins in earnest. We believe that Theology, combined with another subject or on its own, is a subject that engages people personally and can prepare them professionally through the formation of mature graduates. You can find out about the study options available through the CAO System at Maynooth College by clicking here. It is not the only way. Other routes may also be possible. For further information click here. We hold open days and information sessions throughout the year. They are designed for students and those supporting them who may be considering Maynooth College. It is an opportunity for you and your child to enquire about what its like to live and study at Maynooth, and to learn more about the degree courses we offer. It is a chance to help you reach the decision that is right for your child. Once you have made the decision to study theology at the Pontifical University at undergraduate level, in other words, if you have chosen to study either MU001 (Theology and Arts) or MU002 (Theology), you must apply through the CAO. The CAO is the Central Applications Office in Galway. Application literature is available from second-level schools or from CAO, Tower House, Eglinton Street, Galway. Applicants may also apply online at: www.cao.ie. An application fee is applicable when applying through the CAO. Education is always an investment in future of your son or daughter. On confirmation that they have secured a place on our degree programmes, it is important to be prepared for the like cost, and what financial support is available. For further information on Tuition Fees click here. The costs of living associated with a university in a rural town are generally lower than those attending in a major city. There are a number of small discretionary funds designed to support students experiencing financial difficulty. This is primarily intended to support their daily studies rather than fees or personal lives. On campus accommodation is an ideal way for your son or daughter to meet new people, make friends and gain some independence, especially in first year. You can be assured that they will supported by Residence Staff for help and support. 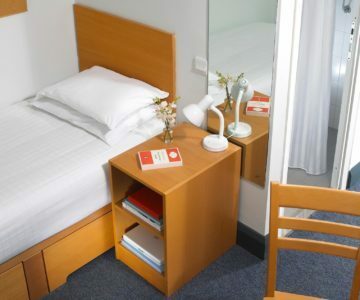 A variety of self-catered accommodation is available at our campus. First year students of St Patrick's College, Maynooth will have accommodation reserved for them if they desire to take it up. This is an undoubted advantage in making the transition into independent life and study. 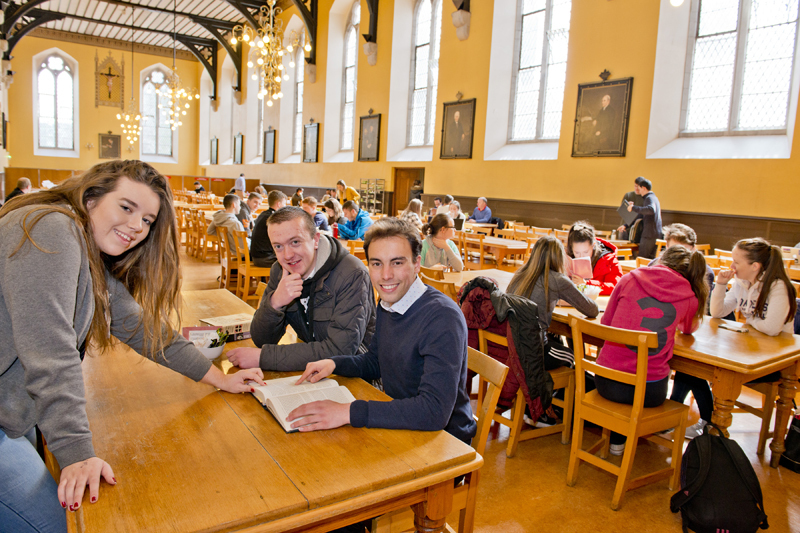 St Patrick's College, Maynooth is committed to ensuring that every student gets the most out of their university experience, regardless of their personal circumstances or background. A wide range of support services are on offer to ensure that all students fulfil their potential, achieve their goals and enjoy their time in Maynooth.